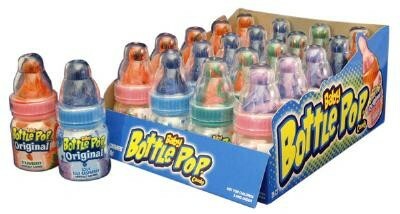 Baby Bottle Pops from Topps, the powdered candy in assorted flavors that comes in a plastic baby bottle. 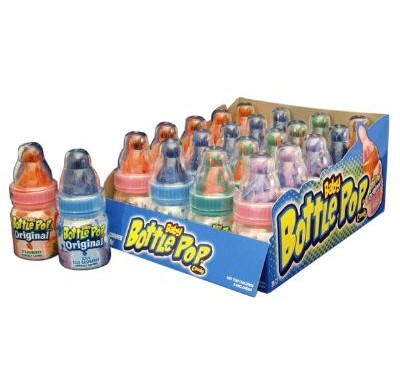 The lollipop sucker tops of these fun novelties can be dipped in the powdered candy for even more fun and flavor. Fruit flavors include: Strawberry, Cherry, Watermelon bubblegum and Grape. There are 18 individually wrapped candy bottles per display box.